BOOM! Studios, comiXology and Amazon announced an expanded and renewed distribution agreement to sell BOOM! Studios’ digital comics and collections on the comiXology platform and expand the distribution of BOOM! Studios’ library to Amazon’s Kindle Store. BOOM! Studios publishes such fan-favorite titles as Mighty Morphin Power Rangers, Lumberjanes, Adventure Time, and more. The announcement coincides with the launch of BOOM! Studios’ latest comic series from their popular BOOM! 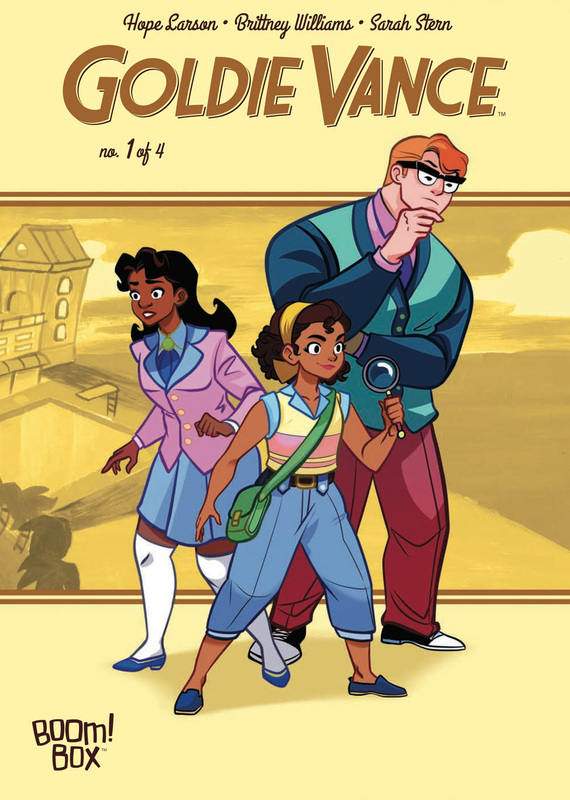 Box imprint Goldie Vance #1 written by Hope Larson and illustrated by Brittney Williams. This debut joins BOOM! 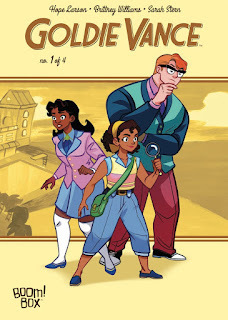 Studios’ entire catalog on comiXology and in the Kindle Store, which include such hits as Giant Days, Steven Universe, and Klaus. With over 75,000 comics, graphic novels and manga from more than 150 publishers, comiXology offers the widest selection of digital comics in the world. ComiXology’s immense catalog and cinematic Guided View reading experience make it the best digital platform for comic fans worldwide. About BOOM! Studios: Founded by Ross Richie in 2005, Diamond Gem Award-winning “Best Publisher” BOOM! Studios (boom-studios.com) generates New York Times best-selling Eisner and Harvey Award-winning comic books and graphic novels. BOOM! Studios is comprised of four distinct imprints: the "Studios" imprint is home to The Woods, Grant Morrison's Klaus, and Big Trouble in Little China; imprint "BOOM! Box" publishes Lumberjanes, Steve Jackson Games' Munchkin,and Giant Days; All-Ages imprint "KaBOOM!" publishes Charles Schulz’ Peanuts; Jim Davis’ Garfield; and Cartoon Network’s Adventure Time. And the "Archaia" imprint is home to Mouse Guard, Cow Boy, and numerous Jim Henson Company properties. Since 2013, BOOM! Studios has had a unique first-look feature film relationship with 20th Century Fox and since August 2014 BOOM! has had a similar first-look relationship with Fox' television studio to develop properties for the small screen.